Ron and Scott made a summit bid today leaving from camp three at about 7100m. Ron managed to top out along with three high altitude porters while Scott turned about shortly before the top. 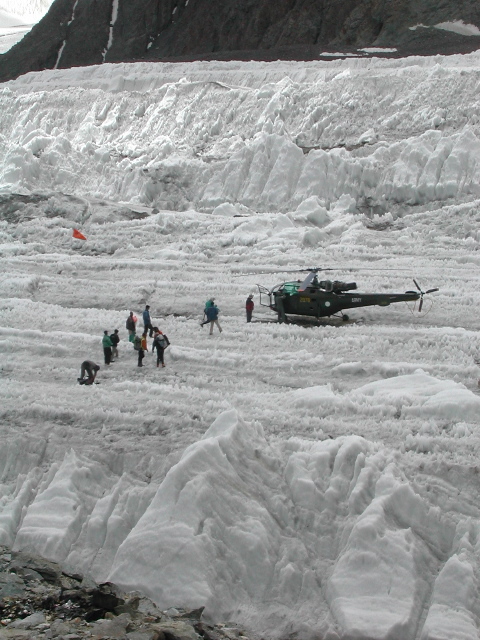 They are on descent and we look forward to hearing the details when they get back down! Brian has already made his way out from base camp on a helicopter flight yesterday and is now on his way back home. John was able to accompany him out as well and give hims support at every turn. Our ground staff did a great job hustling them through the process of evaluation and them down to Islamabad. Brian is sporting a nice caste from the Pakistani Military hospital and we thank them for all of their help as well. With a 2-3 day weather window over the weekend looking quite good, Ron and Scott will be heading up to Camp 2 (6200m/20,400ft) tomorrow and hoping for a summit bid on the 14th if all goes well. The weather looks to be holding into the 15th so they may have a spare day to work with. They will be on the hill for a few days so we may not hear directly from them til monday or tuesday but will be able to follow along from our bc staff. They are well acclimatized from sleeping at Camp 2 and both had been to over 7000m/23,100ft on the last round up. 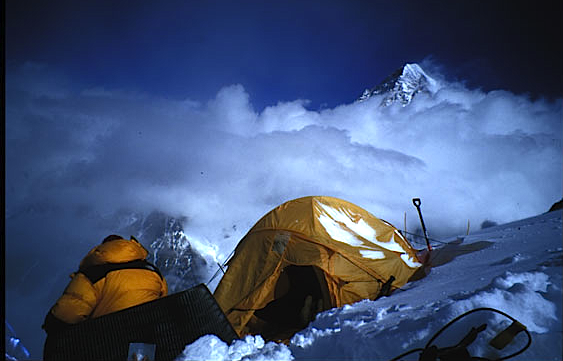 Camp 3 is typically located above 7100m leaving about 900m vertical on the summit day. In some years we push the camp up rather than summit directly from Camp 3 as this can shorten the summit day. They will have to see how they are going when they arrive and will either head straight for the top the next day or push camp up and try for the top the following morning. Factors that will plan into the decision include snow conditions, route fixing concerns and other climbers on the hill to join forces with to push the route through. On summit day they will work from camp on moderate terrain to the base of the col where it steepens up considerably for about 50-100 meters and can often be as much as 50-60° of snow, ice or rock. 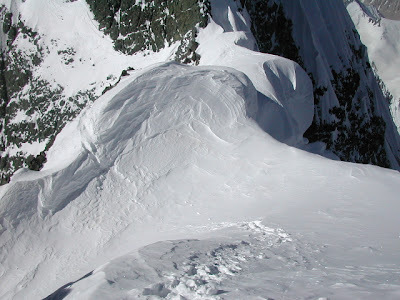 One they have gained the col at 7850m they have to negotiate an exposed and sinuous ascending ridge with short rocky and snow/ice steps to reach the fore summit at about 8030m. 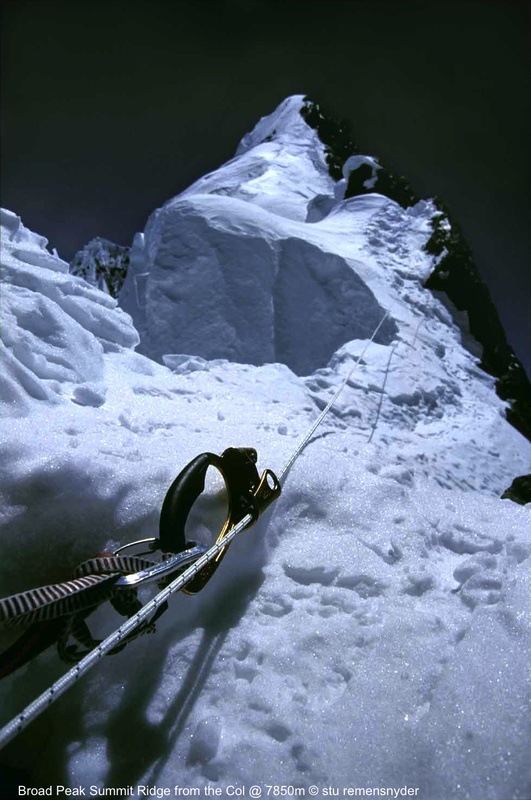 This is often as far as climbers get as the next 16 vertical meters is nearly 900m away and one must be feeling strong as the trip over and back can still be a few more hours of the hardest work one has ever done. 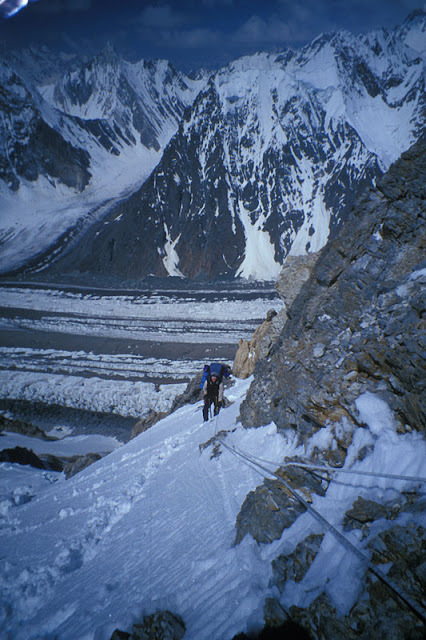 On ascent the right side of the ridge looks steeply all the way back down the base camp in Pakistan while the left side drops nearly vertically many thousands of feet down in to China. We will have word on their progress and post it here! The last 4 days have seen a lot of mediocre weather in base camp or in Skardu (or both) and Brian is still waiting along with John for the arrival of the helicopter. He is resting well, watching reruns of movies on an iPad and looking forward to a soft bed in the next few days. Today the weather was better in Skardu and base camp but still poor in-between. We hope tomorrow will bring the clear weather needed for a safe flight out. The image below is from 2003 and shows the kind of terrain for the landing and why it is important that they have excellent visibility and proper winds for landing in the thin air at 4800m/15,800ft. Broad Peak 2013 update - C1 rotation done, C2 next up! Our team calls in from BC to let us know they will be on the hill for the next few days working their way up to C2 and then back down again. They may be out of touch for a few days and back in touch on the 7th or 8th when back in base camp. Please note ipadio is flash-based so you may not be able to hear them here on your mobile devices like iPhones and iPads. We are looking for a fix and hope to have one shortly!